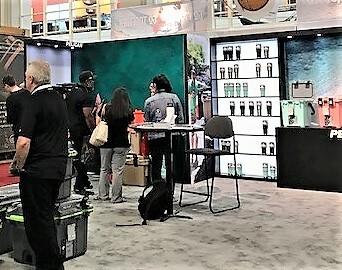 We just returned from Outdoor Retailer Summer Market. We had a great show with clients @EagleCreek (a VF brand) and @PelicanProducts. Many people we visited with thought attendance was light compared to past years. We think that might have to do with the move to Denver for Outdoor Retailer Winter Market in January 2018. Compared to Salt Lake City, Denver is expensive. Drayage and labor rates will increase a lot. So, right now is a great time for exhibitors to consider an new light weight, modular design.